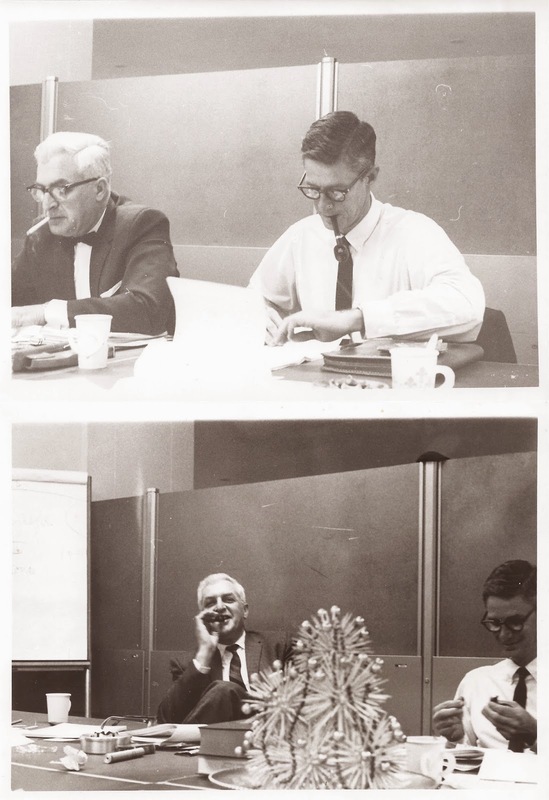 “Fifty years ago, ashtrays seemed to be on every table and desk. Athletes and even Fred Flintstone endorsed cigarettes in TV commercials. Smoke hung in the air in restaurants, offices and airplane cabins. More than 42 percent of U.S. adults smoked, and there was a good chance your doctor was among them. “The turning point came on Jan. 11, 1964. It was on that Saturday morning that U.S. 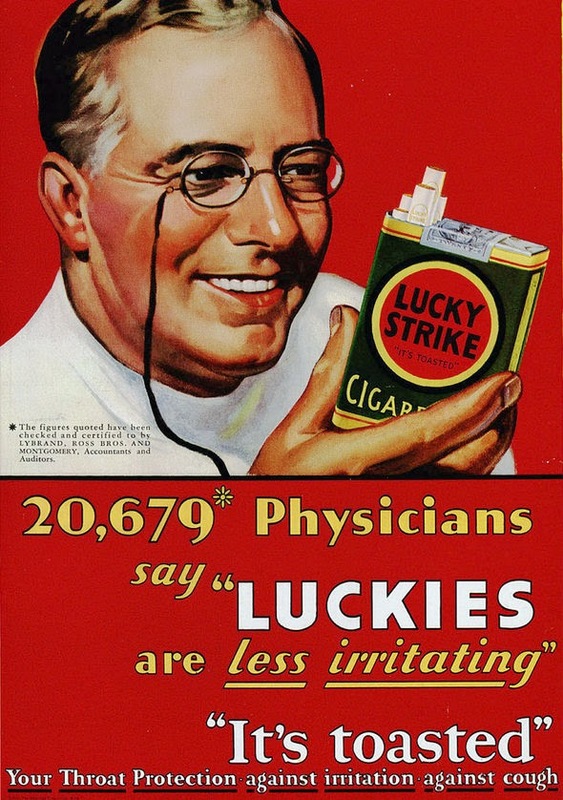 Surgeon General Luther Terry released an emphatic and authoritative report that said smoking causes illness and death — and the government should do something about it. “In the decades that followed, warning labels were put on cigarette packs, cigarette commercials were banned, taxes were raised and new restrictions were placed on where people could light up. "It was the beginning," said Kenneth Warner, a University of Michigan public health professor who is a leading authority on smoking and health. . . So, I digested this without inhaling and it was clear the authoritative report, “one of the most important documents in U.S. public health history,” was the cornerstone of changes that have resulted in the prevention of eight million American deaths by smoking according to a recent JAMA study and uncounted improvements in the quality of life of millions more. That’s pretty damn heady stuff. These are thoughts far off the beaten path for most of the populace but not for an adventurous book collector—particularly one with a fetish for the history of book hunting and a working knowledge of collected subjects and trends. A brief digression will provide a framework. The collecting of important books related to medical history didn’t become a focused and increasingly pricey subject area in the United States until the early 20th century. Many of these pioneer collectors were doctors and scientists with a humanist bent. The most famous include Harvey Cushing (1869-1939), Edward Streeter (1874-1947), John F. Fulton (1899-1960), and Herbert M. Evans (1882-1971). Each collected older printed texts as well as more modern works. This resulted in private libraries of thousands of volumes representing a wide spectrum of medical history. 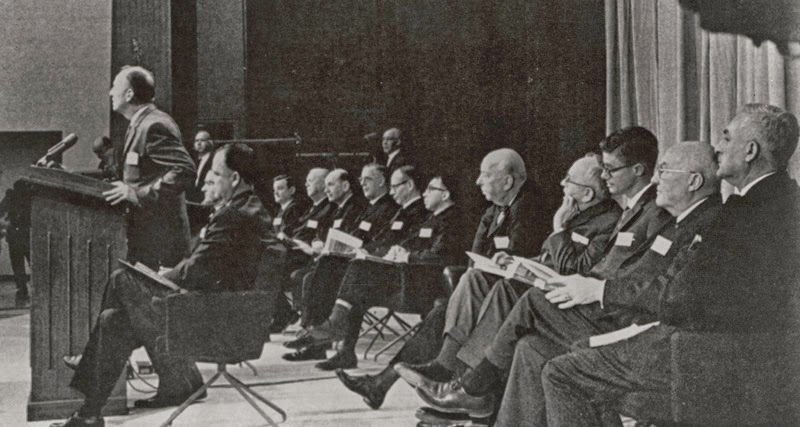 Their collecting efforts brought proper recognition to many under-appreciated medical classics as well as the discovery of overlooked publications. Cushing, Streeter, and Fulton all had a Yale connection. In a rare coordinated effort, the three men, along with another collector, Anton Klebs, placed their books together at Yale to form one of the most formidable medical libraries in the country. Herbert Evans, best remembered as a discoverer of Vitamin E, was influenced by Cushing and English medical collector Sir William Osler. He worked closely with Los Angeles dealer Jacob Zeitlin and San Francisco dealer Warren Howell to form multiple collections in the history of science and medicine over several decades. As funds and space dwindled each superb collection assembled by Evans was sold off: partly to private collectors and partly to institutions such as Princeton, the University of Chicago, Texas and Utah. With biblio-gun reloaded, Evans would start again, hunting in still fertile and exciting territory. These collectors were ahead of the curve and there is no happier place to be for a committed bibliophile. Many of the books they discovered and acquired at modest prices are now rarely met with and when found will dent all but the strongest pocket books. 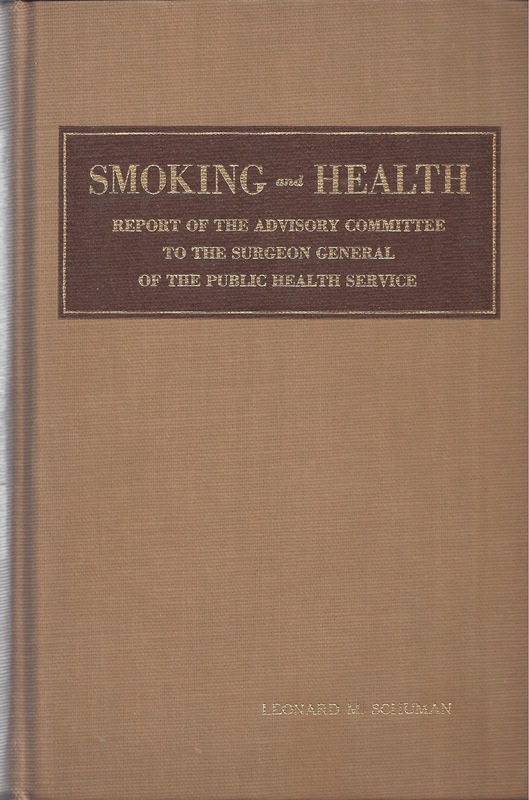 I quickly learned that the original GPO report, titled Smoking and Health: Report of the Advisory Committee to the Surgeon General of the Public Health Service, typically turned up in wrappers when offered with starting prices as low as four dollars. Multiple copies were (and are) available. Yet, not a single bookseller description made even a passing mention of the report’s importance in medical history. Here was a chance to get ahead of the curve. One copy, priced a bit more than the others, attentioned me. It was a specially bound in cloth with the recipient’s name, Leonard M. Schuman, stamped on the front cover. I frisked Schuman electronically and within a minute was hitting the order key with fervor. Dr. Leonard M. Schuman, professor of epidemiology at the University of Minnesota, was one of the ten members of the Surgeon General’s advisory committee that drafted the report. Schuman reportedly wrote a substantial portion of the final text. Furthermore, ephemera was laid in—reproduced below. I found a 1988 interview online of Dr. Schuman by Richard Kluger explaining the creation of the report in unfiltered detail. Security surrounding the committee was tight and the work environment challenging. They met in a sub-basement conference room in the Library of Medicine in Washington D.C., “inelegant and characterless” but “very well ventilated” (to get rid of their smoke! ), with files overflowing into the hallway. These files and records were typically kept under lock and key and an armed guard was stationed at the entrance of their work area. The committee members stayed together at a nearby motel and ate meals together. “We didn’t want anything divulged to the public prematurely.” This would have resulted in a waste of time and energy making explanations or rebuttals to industry attacks. Ironically, Schuman’s own smoking habit increased to about two and half packs a day as the tension rose and pressure built to get the report finished. Later that evening, Schuman flew home to Minnesota and soon discovered his stash of cigarettes that he kept in the breezeway between his house and garage was gone. He asked his wife, Marie, what happened to them. And quit he did—cold turkey with no excuses. This was a success story Schuman liked to tell with relish over the years. 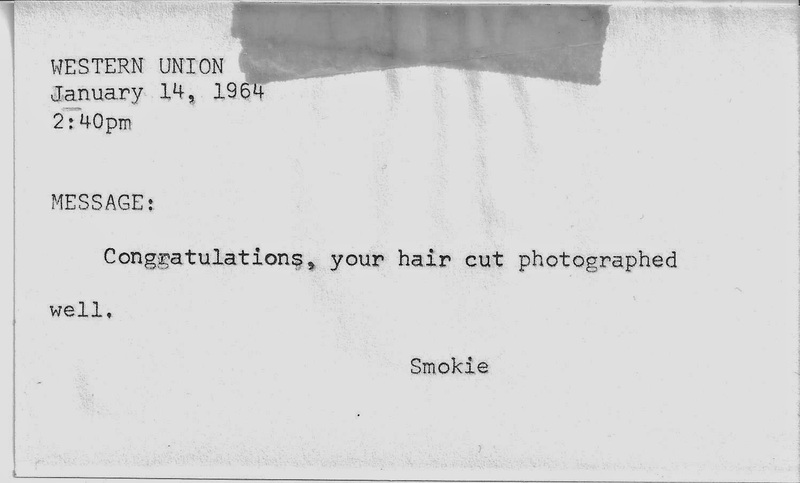 A couple of days later he received a telegram, the author unidentified, but almost certainly from one of the other committee members: a light-hearted finish to a serious process. Schuman would live to the well-ripened age of 92, passing away in 2005, a strong advocate of anti-smoking efforts until the end. I slid Schuman’s specially bound copy back onto my shelves—a smoke free environment, of course—imagining where it might be a hundred years from now and hoping that my detailed description laid into the book will serve as a protective talisman on its journey. Although scientifically correct, this report was the greatest blow to civil liberties since Prohibition, creating a new pariah class and an acceptable "back of the bus" segregation for those who violate the new social mores. Smoking is the exception to this era's embrace of alternate lifestyles, though this particular choice is no more deadly than are others. Ironically, it is the cultivation of tobacco that settled this country and created its initial prosperity. Now the day is not far off when tobacco growers (which includes most of the "foundationing" fathers) will be looked upon with as much disfavor as slaveholders (which also includes most of the "foundationing" fathers). History is, indeed, always in flux, and we can never know from one century to the next who are the heroes and who are the villains. When this report first came out, I was a sophomore in high school, and smoking to my heart's content. And I kept on smoking for forty years, graduating from smoking cigarettes to smoking a pipe because I finally thought it unwise to inhale anymore. Now here I am, fifty years after the report, knowing all too well that my heart and my lungs would be more content had I quit smoking sooner. Memo to Manuel: This report was not "the greatest blow to civil liberties since Prohibition." Having to inhale secondhand smoke was and still is the greatest blow to civil liberties.